AV by AOL - The simplest way to video chat? ~ Android Forever! 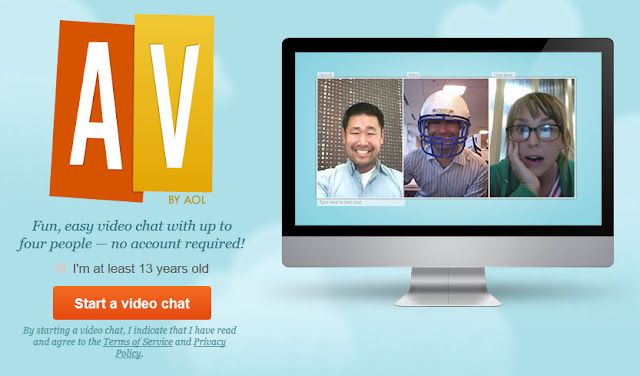 AV by AOL - The simplest way to video chat? If you want (or need) to do a video chat with someone who is not, shall we say, up to speed on the whole internet thingie, and who has fond associations with the AOL brand, this may be the way to go. There's nothing to install, it's entirely web-based, and difficult to screw up. You can chat with up to three other people (four including you). Information about an an online degree in technology via Guide to Online Schools may be of interest to you if you want to develop cool apps.